Technology changes our lives at light speed and, as we saw at this year’s annual technology extravaganza Consumer Electronics Show (CES), it’s changing the way we care for our pets, too. Pet tech products can help pet owners better care for and engage with their pets. 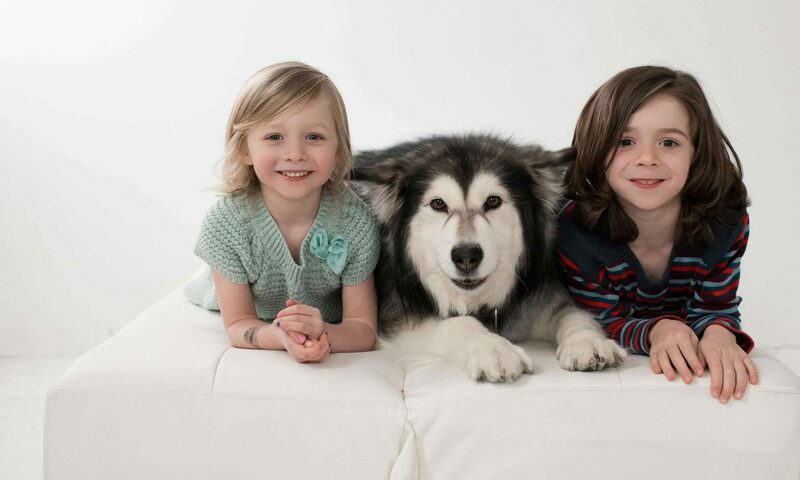 Pet tech products are innovating our relationship with our furry friends. Photography ©ImageDB | Thinkstock. For example, pet owner and millennial Violetta Finch works in the health industry. She uses various health technologies to manage her lifestyle and wants the same for her dog. More than 50% percent of dogs are obese, which leads to health problems like diabetes, and heart and skin problems. Finch’s pooch is one such “hefty” dog, so she uses a pet feeder programmed to dispense three small meals a day of low-calorie food and uses an app to order more food when she’s running low. Other pet tech products in the marketplace enhance the lives of pets and their people by monitoring activity and heading off health problems. David Vigil introduced Tagg, a pet GPS tracking device named after his German Shorthaired Pointer, to the marketplace six years ago. Although he sold Tagg, Virgil, a former Qualcomm senior executive who knows a thing or two about tech trends, believes that other companies will continue to invent monitoring devices to help pets live longer and enjoy an improved quality of life. 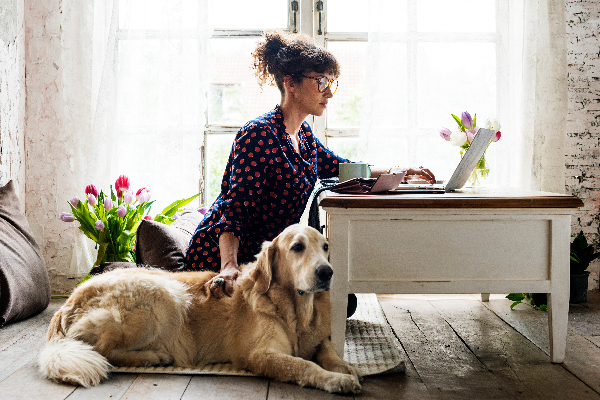 Innovations like the pet feeders and other monitoring devices specifically speak to millennials who want improved communications, media and digital technologies to streamline how they manage their lives and the lives of their pets. 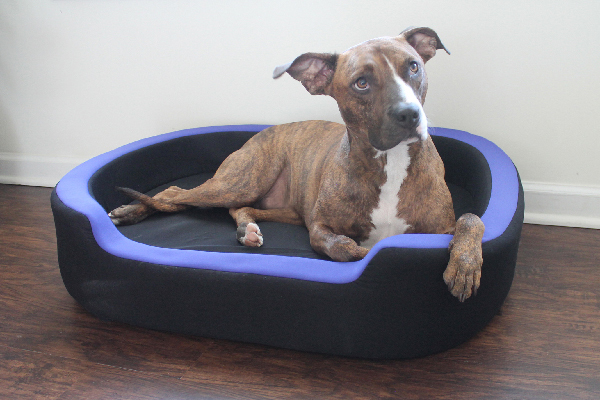 Petrics is a Smart Bed for dogs. Photography courtesy Petrics. Edward (Ed) Hall of Petrics, the inventor of the world’s first Smart Bed, believes that the human approach to smart technology will trickle down to pets and supports this theory with the example of how the coffee maker automated our mornings. Everyone now just expects to be able to set the coffee machine to brew their morning joe at the same time, every day, at the right temperature. This type of convenience and innovation will trickle down to the lives of pets and their owners as technology expands. “If you are automating your life with smart products, it is not surprising that you will automate your pet’s life as well when products become available,” Ed says. Health and wellness: Ed’s CES-award-winning, first-of-its-kind Petrics Smart Bed with activity collar tracker, is an example of a pet tech product that contributes to the longevity of a pet, so it’s in the health and wellness category. The Smart Bed extends a pet’s life by tracking weight, rest periods and activity levels. With a thermostatic climate control, the Smart Bed is controlled with the Petrics mobile app and works with existing smart-home technology. Convenience: The ever-improving Litter Robot is an example of a convenience tech product. The Litter-Robot is an automatic self-cleaning litter box with a patented sifting system that automatically separates waste from clean litter. It offers improved convenience for every cat household because no one likes to clean the litter box. Interactive Toys: As we all know, playtime activities are important and interactive toys now allow pet parents to check on and stimulate their furry family members from afar. For example, Pebby is a smart robotic ball that comes with a built-in 1080p camera, a laser pointer, and Bluetooth and Wi-Fi capabilities so owners can connect and play with pets remotely. Pebby is controlled and maneuvered via a smartphone. Safety: Lastly, Nitey Leash is a pet safety innovation that uses fiber optics and LED Technology to illuminate a dog leash completely and continuously from your hand to your dog. Nighttime or early-morning walks in the dark are safer because you and your dog are visible to traffic from a quarter mile away. Additionally, Ed reminds us that if an item is made to benefit a human and can eventually be used to benefit a pet, it will be made. 3D printing is a perfect example. More and more veterinarians worldwide are turning to 3D printing as a way to make customizable prosthetics or orthotics for pets and wild animals. 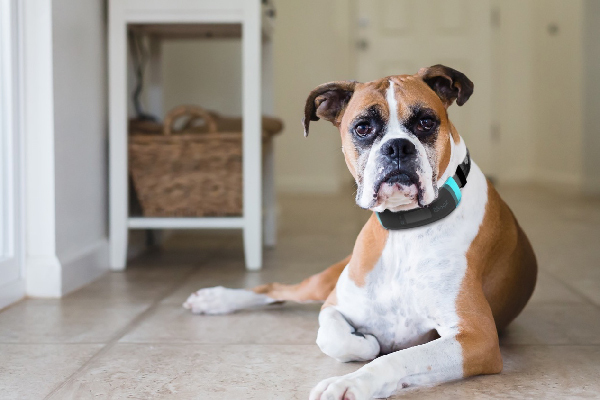 This smart collar is just one of the many smart home products offered by Wagz. Photography courtesy Wagz. 2018 may just be the year of the smart home since devices like Google Home, Alexa and Amazon Echo have become more mainstream and artificial intelligence has become more sophisticated. In fact, Zion Market Research predicts smart home technology will reach $53.45 billion by 2022 and pet tech devices that “connect” will surely be part of this marketplace. “One product is not enough,” says Terry Anderton, a serial entrepreneur, founder and CEO of Wagz, a company of veterinary experts, technologists and dog lovers who created a line of pet tech products that can be implemented into a smart home. The company has a suite of products that includes an intelligent tracker to monitor the whereabouts and safety of your dog. With precise location tracking, virtual fencing, distance monitoring, pre-recorded messages and on-demand alerts, this GPS-enabled collar provides dog owners with valuable data and insights and invaluable peace of mind. Additionally, The Wagz Smart Feeder and the Smart Dog Door will be released in 2018 and eventually the system, like other smart home appliances, will even use your pet’s data to order food so that you never run out. Wagz recently signed a licensed partnership with BLACK+DECKER , a global brand leader in power tools, outdoor yard card equipment and home products, to introduce their new line of connected pet products under existing BLACK+DECKER channels. As technology advances and the market continues to explode with wearable devices that enable more and more self-monitoring, the quantifiable self has emerged. People are increasingly relying on technology to gather data on their life and habits and, naturally, they want to understand — and quantify — their pets, too. Why collect pet data? The more information we have about habits and health, the more likely we can make changes, improve our pet’s health, reduce veterinary costs and improve the quality of life for our pets. When buying pet products and gadgets, it’s important to consider how it will impact and help you better care for your pet. For example, by creating a custom profile on your pet, based on your dog specific characteristics, Ed’s company, Petrics, uses a patented algorithm to identify ideal food options and ranks them with a Food Matching Ratio Score. This allows a pet owner to choose the healthiest food for your dog. The algorithm also identifies movement and sleep patterns so pet owners can head off potential health problems and thus, reduce veterinary costs. Eventually, pet owners will see more products or groups of products that work together to share valuable data with your veterinarian and service providers to improve the pet’s health and longevity. “Although the pet tech sector has mass potential, the space is moving slowly,” says Ed of Petrics. He notes that in many cases, potential players and investors are sitting back and watching at this point. Ed cites the shutdown of Voyce, a pet health monitoring business, due to lack subscribers. Best Buy is one of the few major retailers that has jumped in to sell pet tech products while other retailers, especially brick and mortar shops, are afraid to sell these more expensive products. Furthermore, pet industry organizations and associations are slow to embrace pet technology because they do not understand how the marketplace will benefit them, Ed explains. How can pet tech products become more affordable and widely used? Ed recognizes that when veterinarian associations, pet insurance companies and others work together, the space will explode. If veterinarians better understand the products and how the data collected can be used to keep pets healthier longer, he believes they will recommend them to their clients. Ed believes prices of most pet tech products can be reduced when inventors, organizations, retailers and investors work together and more retailers are on board to sell these products. Terry from Wagz predicts that pet tech products will bring about a sense of pet community. In the next five years, he sees vets, dog walkers and other pet service providers leveraging his Wagz infrastructure, including apps, to streamline pet care. Robust systems will give dog owners one central place to manage their pets — from finding a dog walker or pet-friendly restaurant, to giving healthcare providers insights into the analytics and trends of your dog’s activity and nutrition. “Our products will be industry-changing for humans and service providers, and life-altering for pets,” Terry explains. What could be the downside for our growing pet tech industry? In other words, no matter how busy we humans get, a personal robot will never and should never replace the mutual physical and emotional benefits of a good snuggle with your pet. But, of course, technology brings us other choices. While pets are great, our modern, hectic lives make it increasingly difficult to give our four-legged creatures the love and attention they deserve. If a person does want to enjoy a furry companion every so often but not worry about feeding, walking or cleaning up after a pet, the Sony robotic dog, Aibo could be just the tech invention to meet the need. Aibo is a white plastic puppy about 30 centimeters long with flapping black ears and a cute little wagging tail. Billed as a pet that behaves like a real dog, Aibo uses artificial intelligence (AI) not canine instinct, to learn and interact with his owner and surroundings. The upgraded Aibo is now packed with an array of sensors, cameras, microphones and internet connectivity, as well as far more advanced AI backed by cloud computing to develop the dog’s personality. If you want puppy love without the mess, there is always a way to have it thanks to technology. Although we have seen a drone walking dogs, don’t be surprised if, in the next 15 tears, translators let your personally communicate with your pet about choices for food, dog parks, play dates, the best time for a walk and more; all of which are activated in a smart home, activated by a self-charging collar. Imagine a dog-walking business with K9 robots to care for and play with your pets when you can’t be there. But most importantly, the technologies that produce data will be increasingly sought after because they allow us to give our pets the highest quality of life and help them live as long as possible in their smart, new, techie world. 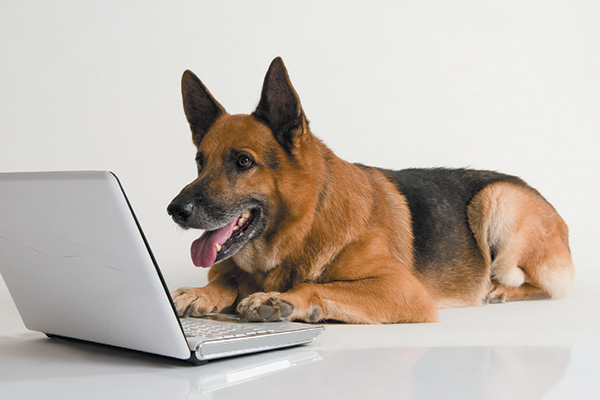 Tell us: What are your favorite pet tech products? What’s a product you would love to have for your dog? Thumbnail: Photography ©Rawpixel | iStock / Getty Images Plus. The post Pet Tech Products: What We Have, What We Know and What’s Next appeared first on Dogster. Next PostNext What Should You Pack When Traveling With Your Cat?